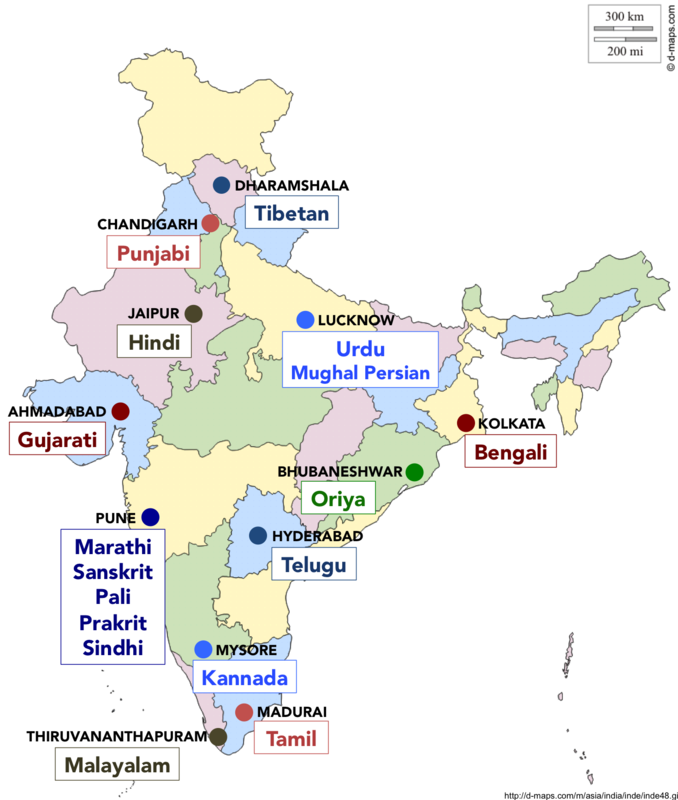 AIIS offers intensive, immersion-based training in modern and classical South Asian languages at multiple sites in India. 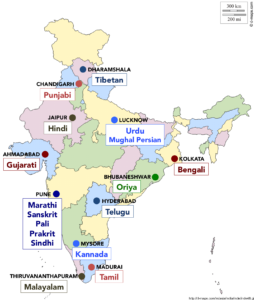 For more than five decades, AIIS language programs in India have been crucial to most U.S.-based scholars of South Asian area studies in the humanities and social science disciplines. Area experts employed in government, NGOs, and the private sector have also benefited. More than 4,000 students have completed programs through the Institute. The AIIS Language Program offers nine-month academic year, summer and semester courses at elementary to advanced levels in many languages, including several that are rarely taught outside of India. The eligibility requirements vary depending on the particular program. The full academic year program is intended for students who have successfully completed two years of language training and who seek intensive immersion instruction within a target-language environment to work toward an advanced-to-superior level of proficiency. Summer programs are offered at a variety of levels. Applications for AIIS language programs are available in mid-October and are due by December 31; the selection process is finished by late February. AIIS awards full fellowships, funded by the U.S. Department of Education’s Group Projects Abroad program, to qualified academic-year and semester program students on a competitive basis; summer program applicants should seek funding from their home institutions or through the Critical Language Scholarship program (for Bengali, Hindi, Punjabi, and Urdu), but may also be considered for financial assistance from AIIS. U.S. military veterans, students from community colleges and regional public institutions and non-traditional students are especially encouraged to apply. AIIS makes every effort to accommodate students with disabilities or special needs. Students participating in the AIIS Academic Year Language Program who are funded through their home institutions with Title VI FLAS Fellowships must take an additional directed readings course with faculty, arranged by AIIS, at a local Indian university or research institute. This course will require a syllabus approved by AIIS, with the concurrence of the relevant faculty and student. Additional tuition charges of $500 will be incurred. AIIS will be holding a Mughal Persian workshop in Lucknow at the end of the 2019 summer program. All Mughal Persian and Urdu students will be welcome to attend. The workshop will provide a venue for the examination of overall themes in studies of the wider Persianate world, and opportunities for conversations and collaborations between scholars studying common or intersecting themes in different parts of the Persianate world: Safavid Iran, Mughal India, Afghanistan, Central Asia, Ottoman Empire, larger Indian Ocean, etc. Possible common themes include: intellectual history; Islamic historiography; Poetics and cross-cultural influences on poetry and literature; Sufi studies, Islamic reform movements; center/periphery interactions within empire and crossing across frontiers; diplomacy and diplomatic discourse; discourse around gender and legitimacy; encounters between Islamic literary traditions and other cultures; comparative bureaucratic cultures. The workshop would also address common challenges involved in archival research in Mughal Persian archives—discussions on how to use archives profitably to address the above topics, how to engage with scholars working in archives in different locations and seeking documents produced in or relevant to different countries within the wider Persianate world. Host archives/institutions can talk about collaboration from their point of view: challenges in collection management, preservation, accessibility, opportunities for Indian archivists and students/scholars from elsewhere to collaborate and further Mughal Persian/Persianate World studies. For additional information, please go to aiislanguageprograms.org.